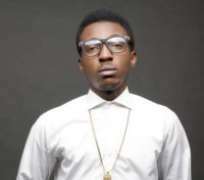 Gospel singer Frank Edwards of 'Mma Mma' fame recently had his car stolen, but luckily for him he got his car back. On Instagram he shared how he was able to get his car back from the hands of the robbers. “GOD PASS THEM!!!! I had over half thank of fuel , my car was snatched last night @ lekki 2nd round about before they cld get to Ajah d fuel dried up !!. . Fuel that cld last 4day dried up in less than an hour !!!!!!!!!! Well d baby is back & taking a shower!! ##IFGODBEFORME” he wrote on Instagram. On December 24, Frank Edwards released a new classical piece aptly titled 'If God be for me'.